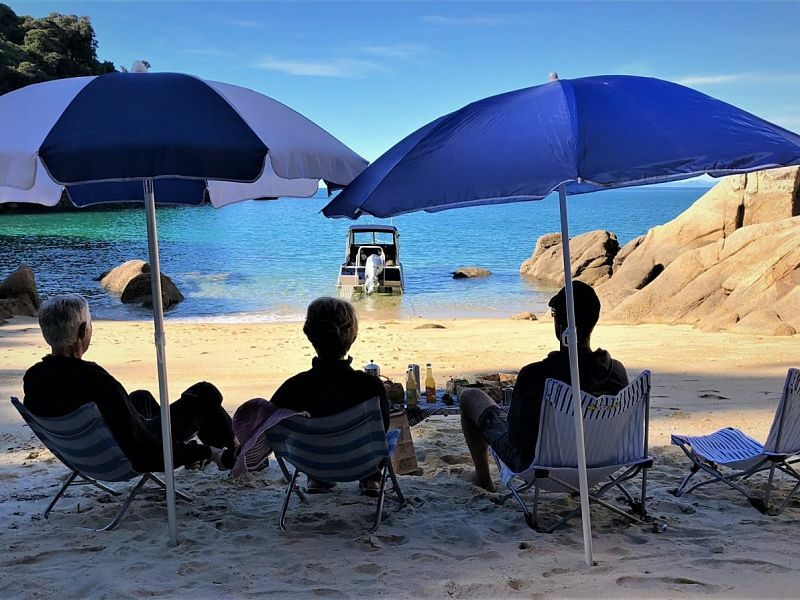 “Rob designed a day especially for our family of 5 which included a private water taxi, kayaking with a guide and an unforgettable hike ending at a gorgeous eco resort! Our lunch on the beach was delicious and we had tea on a beach while kayaking. His knowledge of the area was unparalleled and he tailored the trip to our abilities, making it challenging but enjoyable. 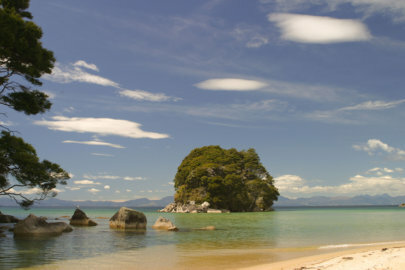 We recommend Rob and Simply Wild to anyone in the are to make a visit to Abel Tasman perfect”! 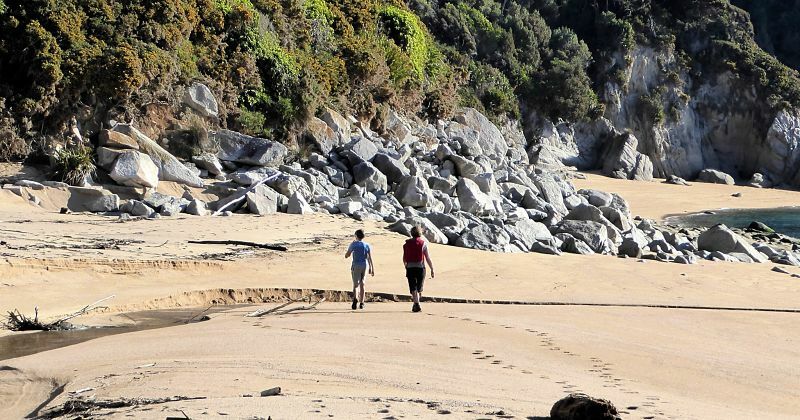 Abel Tasman National Park might be New Zealand’s smallest, but it’s arguably its most beautiful, managing to pack into its 342 square kilometres a delightful array of activities and sightseeing bounty. There’s everything—from the country’s most popular and stunning coastal track through pristine native bush, to sparkling tidal inlets dotted with limestone islands; from water too breathtakingly clear to believe, to the startling 24-carat glow of golden sandy beaches. With Simply Wild Journeys you can discover the very best the Abel Tasman has to offer in one unforgettable day. Enjoy a completely customisable experience offering total on-the-day flexibility. When we meet you, we’ll discuss your preferences, and plan the day to suit. 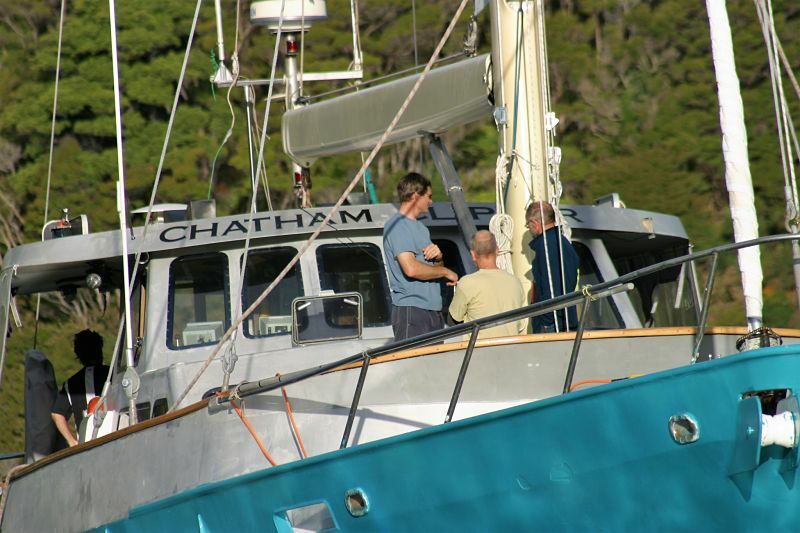 With your own private launch, guide and skipper, you can do as much or as little as you like. Get dropped off to walk some of the best sections of the track with your guide, and have the launch waiting to pick you up whenever or wherever you want. How about adding the water version of hiking to your day, taking to the sea in a modern comfortable kayak to get up close and personal with beautiful Tasman Bay? And just wait for the delicious lunch prepared for you in a stunning secret cove! It’s all about subtle adventure with subtle pampering. Normally we will collect you between 9 and 10am and have you back at your accommodation by 4.30-5pm, at the end of a day like no other—exciting, relaxing, luxurious and utterly memorable. 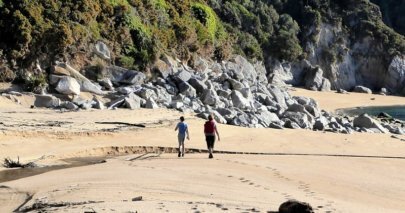 Our trip provides a private launch, guide and skipper for the day, which enables you and our guide to be landed near the beginning of sections of the Abel Tasman track you would like to walk, and met later at any point along the track. 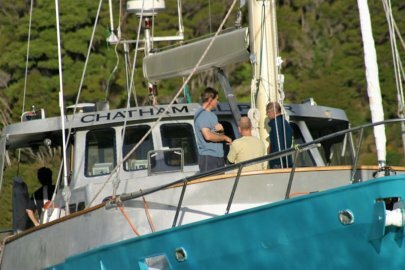 The guide has a radio for contact with the boat and can easily change the pickup point if you are tired, or if you wish to walk for longer. It also means we are never fixed to a schedule, and the day can be quite spontaneous. We provide a delightful lunch, which we generally have at a sheltered little cove, with comfortable beach chairs, umbrella, and picnic table, generally accompanied by great conversations about the world and all that’s in it. 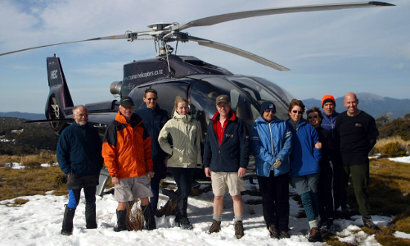 If you are more budget conscious, but still prefer a private guide, we use scheduled water taxis. 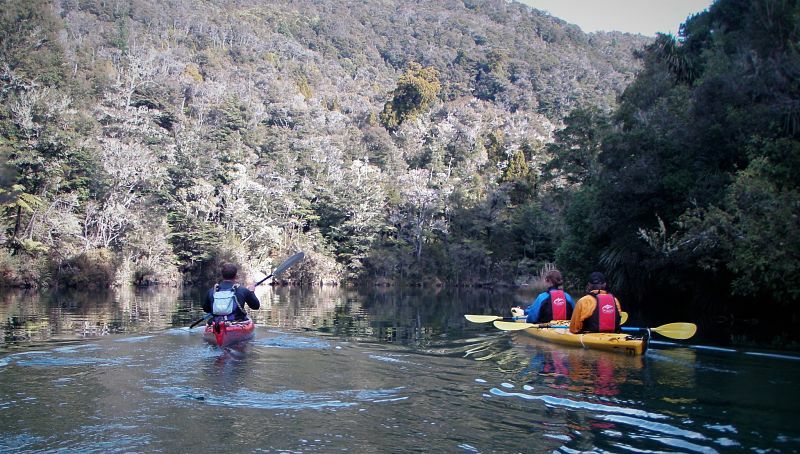 We can also combine hiking and walking with sea kayaking. 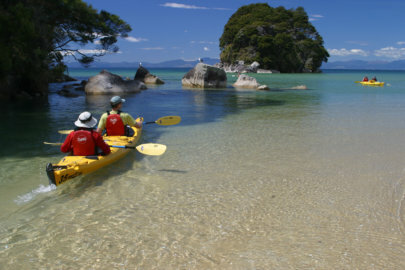 We schedule the sea kayaking for morning or afternoon depending on the tide. If it is a morning high tide we kayak from Anchorage to Bark Bay, if it is an afternoon high tide we kayak from Bark Bay to Anchorage. This enables paddling into Torrent Bay and Falls River on the tide, and if it’s an afternoon paddle, paddling with the sea breeze back to Anchorage. All our Abel Tasman trips originate from our base in Nelson, and the price includes collecting you from your lodge or hotel accommodation and return by luxury vehicle. Our trips are all hosted by your friendly and knowledgeable Simply Wild guide and we provide a fresh gourmet picnic lunch prepared by our Simply Wild chef. Timing of the day is to suit you, but we are normally in the park for around 5 hours. 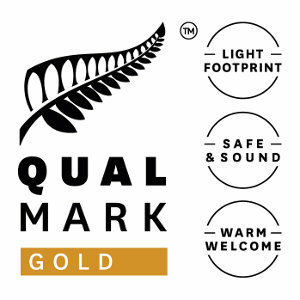 Pickup and drop off by luxury vehicle from your accommodation in the Nelson – Motueka area. Fast launch (or Water Taxi if you choose a less expensive option). What time does the trip begin? We’ll normally pick you up between 9.00am & 10.00am, but it is a private trip and we are flexible. If you prefer a less expensive trip where it is fully guided but we use scheduled water taxis, we will have less flexibility. In this case we’ll nominate a time to work in with the water taxi. How far are the walking sections? Awaroa to Onetahuti or Tonga Quarry is about 5 – 6 km and generally takes between 1 1/2 and 2 1/2 hours to walk from where we land near Awaroa Lodge. 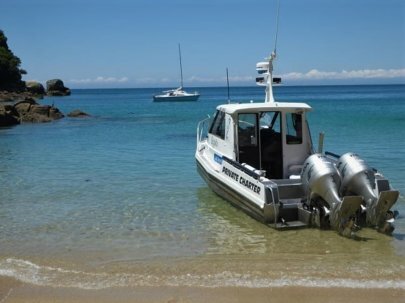 Onetahuti to Bark Bay is around 4km and takes around 1 1/2 hours. 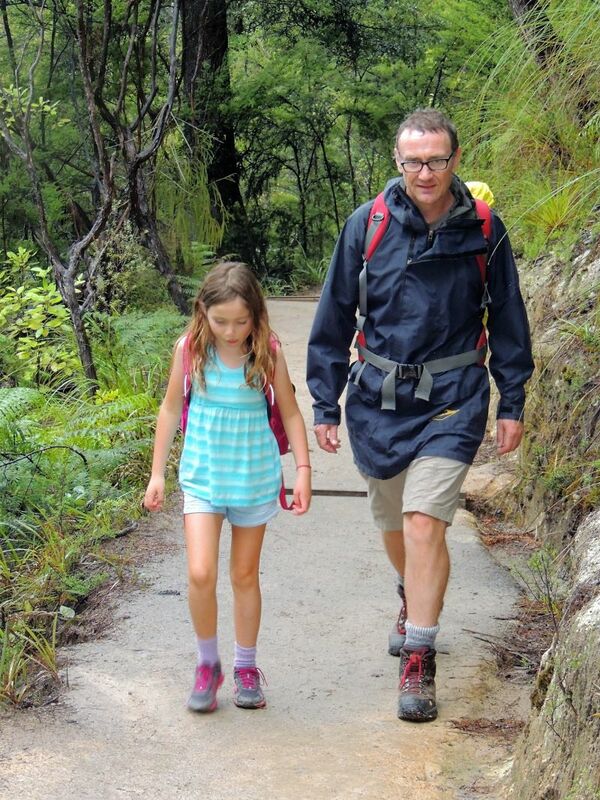 Awaroa to Anchorage is 21km and it is possible to walk the distance in 5 – 6 hours. 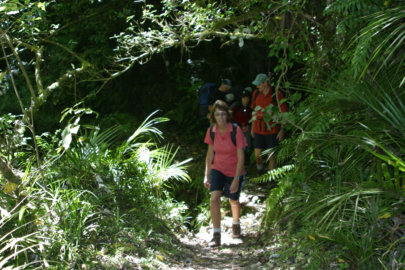 We tend suggest walking the Awaroa or Onetahuti section as there generally less walkers on this section, and we like the views and perspective of the park. The track is well formed with a firm surface, at least a metre wide in most places. It climbs from sea level with short climbs over low coastal ridges at times, providing great views of the park. Light walking shoes or trainers are ideal footwear. Boots are not necessary. Teva or similar sandals are fine, although the fine granite sand can be a little irritating when it gets between the sole of your feet and the surface of your sandal. Shorts or light quick drying trousers, light wool or polypropylene travel shirt or T shirt, light fleece jacket, light windproof jacket, cap or hat, sunglasses, day pack, swimming costume, towel, camera, suntan lotion, insect repellent. We have plenty of spare clothing in our vehicle and can provide most items for the day such as daypacks if you require them. We do not have shoes. Where do we sea kayak from and how long does it take? 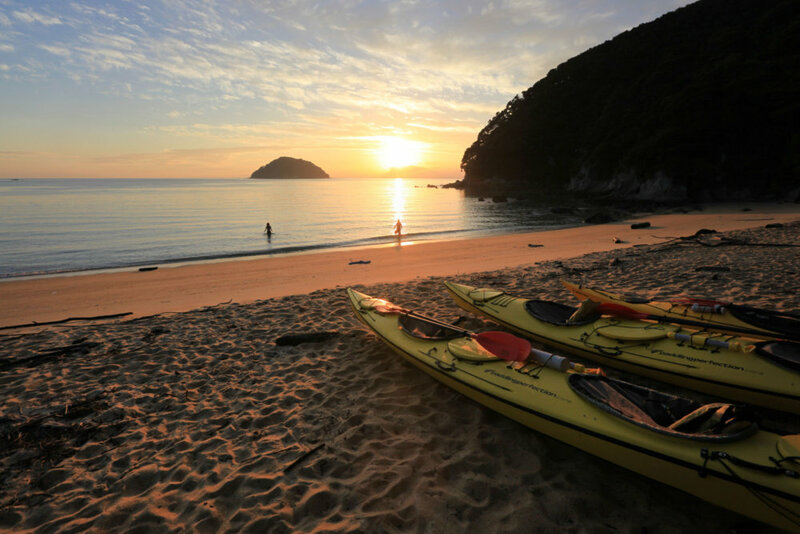 If we are combining walking and sea kayaking, we tend to walk from Awaroa or Onetahuti to Bark Bay and then sea kayak from Bark Bay to Anchorage, however this is dependent on the timing of high tide. 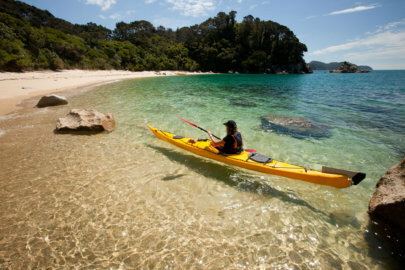 A high tide in the morning or afternoon enables kayakers to explore the lovely estuaries along the coastline. The kayaking takes around 2 hours. All our food originates from our cafe/restaurant Broccoli Row. Broccoli Row is principally a vegetarian & seafood cafe, so we can supply delicious food to almost any requirement. (Our trip foods however almost always contain chicken or beef).